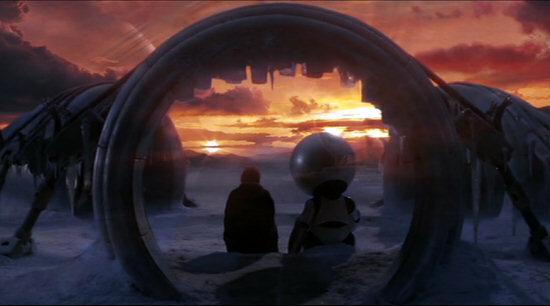 Originally intended as a direct followup to last month’s Towel Day posting about the original television series, it’s better late than never with today’s article about The Hitchhiker’s Guide to the Galaxy in its 2005 cinema incarnation. Completed four years after Douglas Adams had passed away, it was still very much a creation of its original author with a passionate crew of filmmakers and actors brilliantly succeeding in making not only a movie, but also a loving memorial. Sadly, the quirky humour and its utter Britishness failed to impress many viewers unfamiliar to Douglas Adams’ work and while the movie managed to financially break even, its success was so minimal that a sequel was never made – but it stands well enough on its own. Today’s review tells the story how the movie came about in a translated, expanded and improved version of an earlier German article.